At first inspection – or certainly through Western eyes – one might struggle to imagine Charles Cham as an artist to unsettle any member of the Malaysian political establishment. Surely, his vibrant paintings consisting of simple geometric forms are the embodiment of the traditional or even primitive Malaysia that so many of us feel we know? Alas, sensibilities in this corner of Southeast Asia are full of contradictions, but so are outsiders’ perceptions of the country, and even the unassuming Cham has sometimes found himself caught between them. “Vaguely drawn genitalia”... or an outrage? One especially memorable incident, as the artist retold to the International Herald Tribune in 1999, concerned the display of two of his large canvasses in the lobby of a five-star Kuala Lumpur hotel, purchased after they were exhibited at the nearby National Art Gallery. The appearance in one of the paintings of what Cham recalled as “vaguely drawn genitalia” evidently angered party members holding a conference in the hotel, to such an extent that they inked over the offending area with a permanent marker and made clear their discontent to the hotel management. The paintings were duly removed, illustrating the challenges that Cham continues to face in appealing to his countrymen with art that has nonetheless won no shortage of admirers abroad. 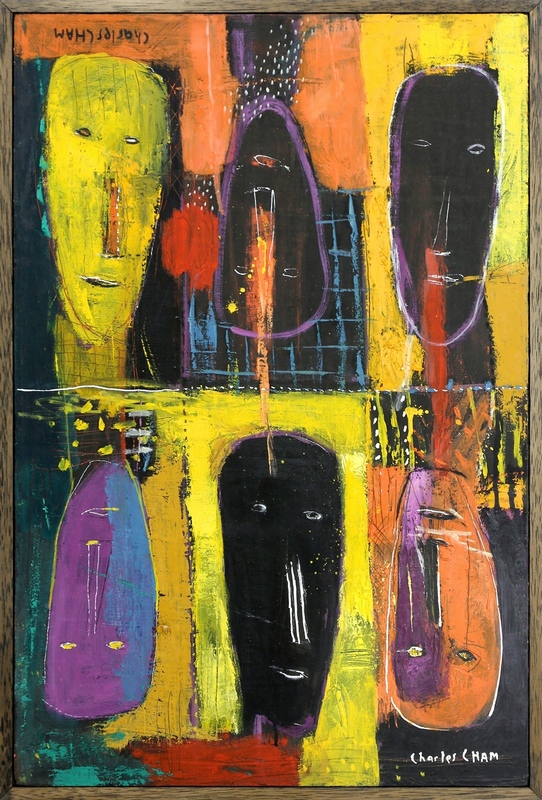 In fact, there are examples of his art in collections in more than 40 countries around the globe. 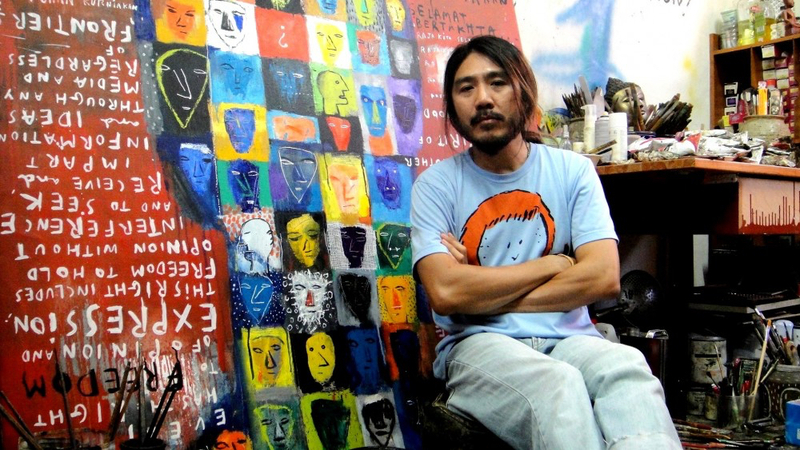 Today, while exhibiting his artworks in such countries as Indonesia, Australia, the UK, France, Switzerland, Portugal and Singapore, Cham still maintains his studio on the second floor of an old wooden house in his native land – or more specifically Malacca, which just happens to be one of Malaysia’s best-preserved colonial cities. That latter observation is a perhaps significant one, given the rich mix of international influences to which the city has long been subjected, including from the Portuguese Dutch, British, Chinese and Indian. In short, there’s still more than a distinct flavour of what outsiders perceive as the ‘old Malaysia’ here, far afield from the unashamed, gleaming modernity of Kuala Lumpur. Glance around the immediate surroundings of Cham’s creative space, and one will see a ruined fort, a Dutch-built church and brightly painted Chinese shops. 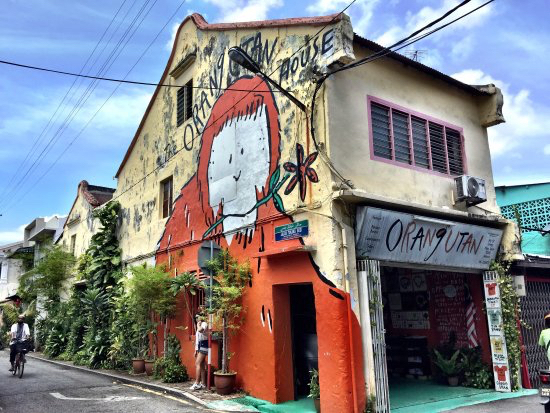 Also in close proximityis the immediately recognisable old Chinese clan house that Cham had gutted, painted in his signature bright colours and opened as his gallery, the Orangutan House, in the early 1990s. It is perhaps here where one can best appreciate that Cham doesn’t exactly ‘do’ the safe chocolate-box art favoured by so many of his creative compatriots. Not for Cham, the strait-laced prettylandscapes of village scenes that, while they may be as conveniently self-explanatory as art comes, are just a little too living room-ready. The very difficulty that everyone seems to have in categorising Charles Cham’s creative practice is precisely why he is such a brilliant artist. The philosophy of Yin and Yang is central to the abstract oils with which he has made his name, the artist having expressed his belief that everything has another side, whether or not this is visible.